SSO is available to LiquidPlanner customers on the Enterprise plan only. Contact LiquidPlanner at https://www.liquidplanner.com/contact/ for details. 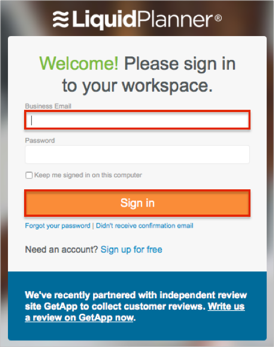 Login to your LiquidPlanner account as a workspace owner. Click on your profile picture. 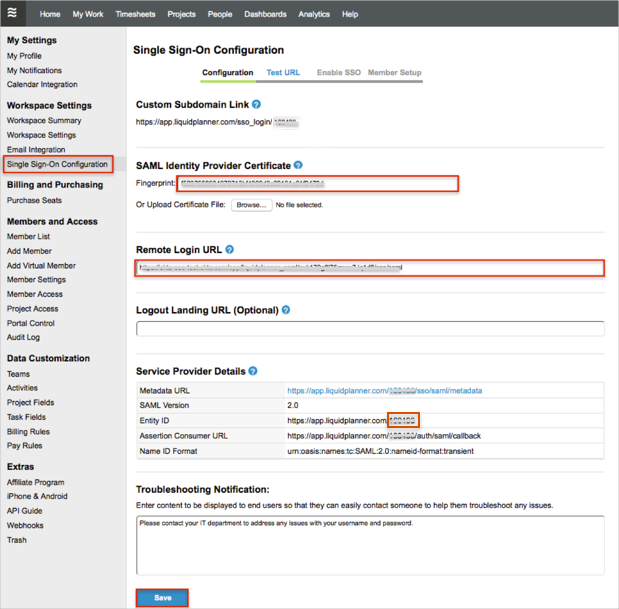 Select Settings > Single Sign-On Configuration. Sign into the Okta Admin Dashboard to generate this variable. Make a copy of the last part of the following Entity ID value. For example if your Entity ID is https://app.liquidplanner.com/0000, you need to save the 0000 value). 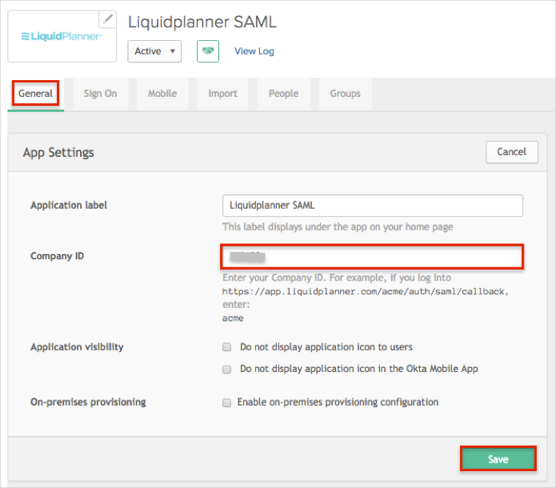 In Okta, select the General tab for the LiquidPlanner SAML app. Enter the portion of the Entity ID you saved (see step 4 above) into the Company ID field. Wait for a Your test was successful. You can enable SSO for your space message to appear. Click the Enable SSO link. Select Yes if you need all workspace members and portal guests to be required to use SAML 2.0 to authenticate. Select No if you need to configure which members will be required to use SAML 2.0 and which will use an email address and password stored in LiquidPlanner to login. 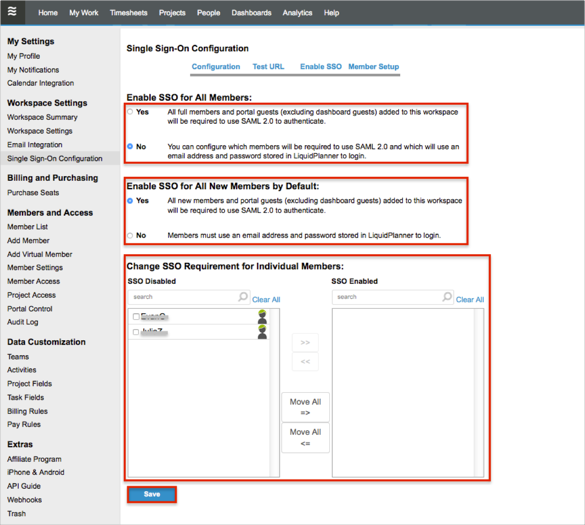 Select Yes if you need all new members and portal guests added to your workspace to be required to use SAML 2.0 to authenticate. Select No if your members must use an email address and password stored in LiquidPlanner to login. To move specific members into SSO Enabled, select them from the SSO Disabled box and click the >> button. Alternatively click the Move All => button to move everyone at once. IdP-initiated flows and SP-initiated flows are supported. Just In Time (JIT) Provisioning is not supported. Open LiquidPlanner login page: https://app.liquidplanner.com/login. Enter your email in the Business Email field.